BRUSSELS, Sept 8, 2011 (AFP) - European Union foreign policy chief Catherine Ashton denounced on Thursday a deadly bomb attack in New Delhi as an "evil" act of terrorism. Ashton "is appalled by the terrorist attack in Delhi," her press office said in a statement. 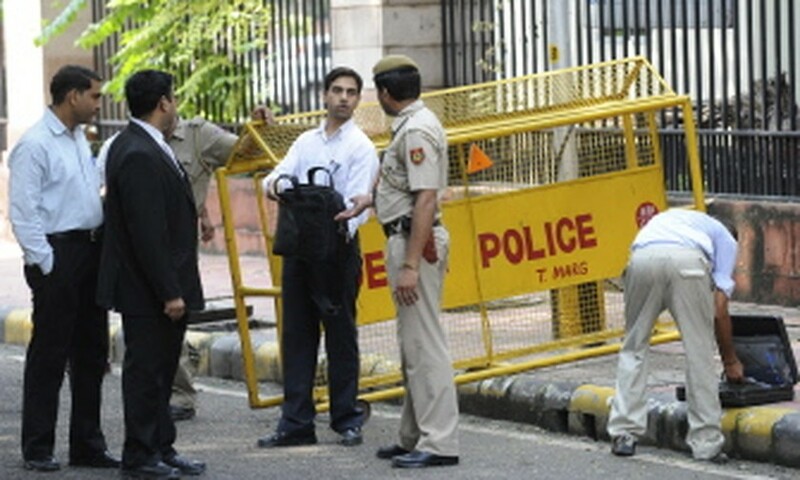 AFP - An Indian policemen checks the cases of advocates at a blast site outside The High Court in New Delhi on September 8, 2011. "She condemns this heinous act and expresses her condolences to the Indian authorities and to the families and friends of the victims. It is essential that the perpetrators of this evil attack are brought to justice." The powerful blast ripped through a crowd of lawyers and litigants queuing to enter New Delhi's High Court in the heart of the Indian capital on Wednesday, killing 12 people and injuring 80.